Dashblog is a Firefox extension that bloggers and twitter users love to use it. With this extension you can post any image, music, video or text from the web to your blogs, twitter account in just few clicks. 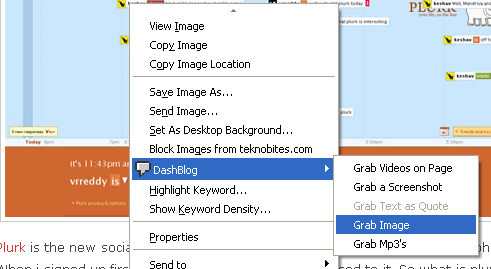 Install the Dashblog Addon, now right click on any image and select Dashblog from the context menu, you will see Grab Image, Grab MP3, Grab text as quote, Grab a screenshot options, click on the grab image and it will open a popup window with the image you wanted to post. 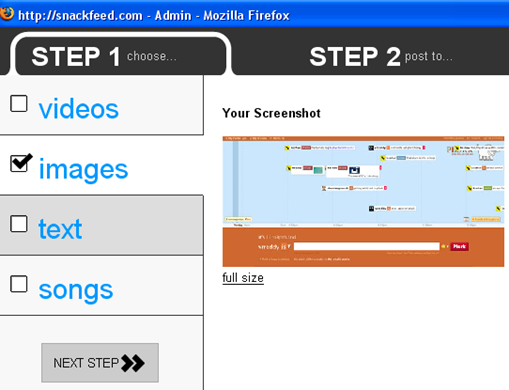 Select Image in this screen and then go to next step, select the services you want to update. 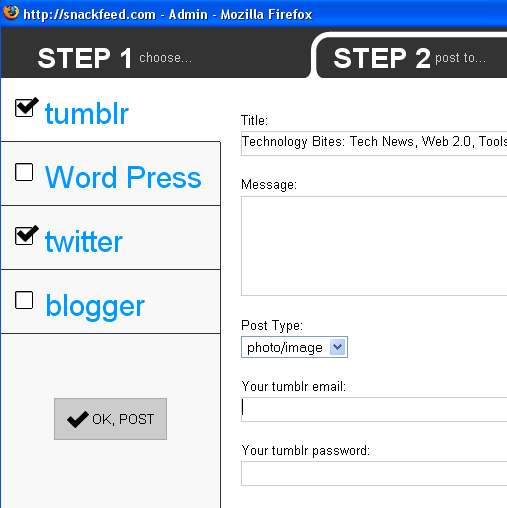 Currently it supports Blogger, WordPress, tumblr and twitter. Enter the details for each of the services you want to upload and click post. It also supports screenshots. The posting is immediate and if you post to twitter the URL goes as Tinyurl. Wow, this one is superhandy for use with my Twitter and Tumblr account. Cool find! yeah. Its bit handy some times. I am already using it. UI is great…works flawlessly. Thanks much!